Application Fee: Rs.500/- (No Fee for SC/ST/PwD candidates). 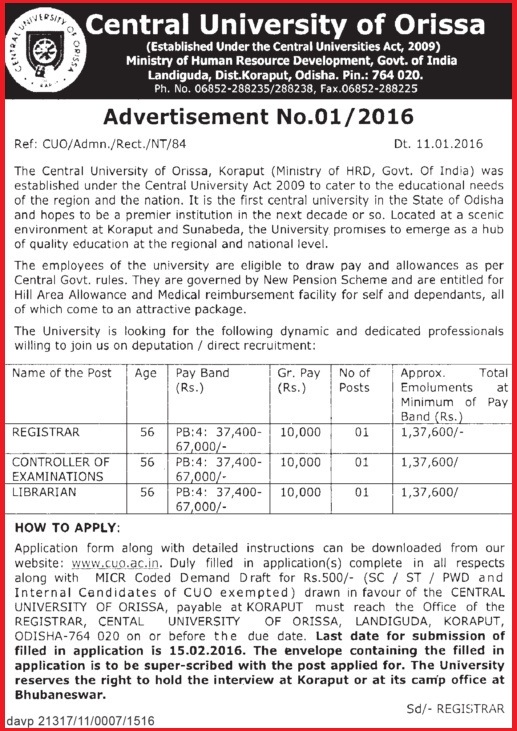 Demand Draft drawn in favour of the Central University of Orissa, Payable at Koraput. How to Apply: Interested applicants should download the Application Form from the University Website and Filled in Application form along with self attested copies of all certificates to be sent by Speed Post / Registered Post to the Following Address.